You know what; my personal opinion is coconut is a super food. It’s a food which can give you all kinds of benefits. 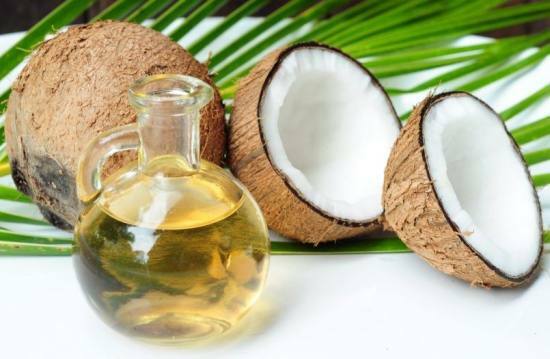 You can use coconut as a natural supply of food and water but you also process it and produce a very special product and that is coconut oil. This coconut oil used all over the world but it’s used mostly in Asian country like India, Sri Lanka, Philippine etc. I think there is hardly a woman who never used coconut oil in her life at least once. Coconut oil is a superb natural treatment for hair. Actually it can give you natural remedy for many health care like hair care, cholesterol level maintenance, dental care, high blood pressure maintenance, heart disease, kidney disease etc. in this article I will describe you health benefits of coconut oil. Surely you will get a lot of information and can use it your daily life. Need faster hair growth? Need soft and shiny hair? Wants a healthy hair? Then simply use coconut oil in your hair. Our hair needs nutrients and these nutrients can be supply by the coconut oil. Coconut oil also reduces protein loss and nourishes the hair. It also helps to make your hair free from dandruff. Sometimes it can help to reduce lice and lice eggs from your hair. Simply use coconut oil at least twice in a week before goes to sleep at night. Next morning wash your hair with herbal shampoo. For gaining best result use coconut oil daily. Many people believe that coconut oil is not good for health because it contains saturated fat. But I am totally disagreed with them because research shows that, this saturated fat doesn’t increase LDL lever or cholesterol. Rather it can increase arterial functions and safe the artery from damage. It also helps in decreasing cholesterol level. Cholesterol can cause hypertension. We all know that hypertension is the main cause of all kinds of heart disease. So coconut oil can maintain your normal heart function. Coconut oil is a natural moisturizer for skin. You can use other chemical moisturizer but surely they have at least minimum side effect. But I can ensure you; there is no side effect in coconut oil. You will surprise by hearings that, coconut oil plays an important role in making soap or other skin care product. So you use coconut oil indirectly almost every skin care product. If you use coconut oil in cooking your food then it will helps to reduce your body weight because it contains short chain fatty acid. It can increase your endocrine function especially thyroid gland function. If thyroid function increases than your metabolic function will be increase. Increasing metabolic function causes more calorie burn and helps to make you slim. Coconut oil is also very useful for boost your immune system. It has antibacterial and anti-fungal properties. Coconut oil contains lauric acid, anti microbial lipid, capric acid, caprylic acid which is very important for our body. These can produce resistance against certain bacteria like listeria monocytogenes and helicobacter pylori. It also fights against virus which producing influenza, herpes etc. it is also very effective against a protozoon called Giardia lamblia. Coconut oil has a property which can prevent premature aging. It can protect your skin from early wrinkling. If you have an irritable bowel syndrome, than you should use coconut oil for cooking. It also helps in digestion and absorption and makes your body more fit. If you use coconut oil in cooking food than you can also escape from many stomach related disease. Vitamins, minerals and amino acid are an important constituent to build our body and coconut oil increase their absorption from gut. Candida albicans is yeast which lives in our stomach. Usually it doesn’t produce any disease in our body. But when it counts increase in significant number due to antimicrobial therapy or other cause than it can produce a disease called Candida. It is also known as systemic candiasis. There are many symptoms of Candida including ear, nose, throat infection, urinary and genital infection etc. coconut oil can plays an important role against Candida. Coconut oil has anti bacterial and anti fungal properties. So it can fights against infection. Coconut oil can produce a thin chemical layer if you used it on infected area. Thus acts as a barrier against air, dust, bacteria etc. Coconut oil can be used as a dental care expert. It can remove plaque from your teeth. Simply use coconut oil like a mouth wash at morning after wake up. It will remove your extra plaque from your teeth and makes your teeth whiter. Coconut oil has many beneficial effects. It can works on your kidney, liver, gallbladder and works like a guard against many disease related those organ. Coconut oil is a superb remedy for many diseases. It has no side effect. Surely it is more beneficial than other oil. Try to make a habit on using this oil.